Insight Employment Mediation covers all your dispute resolution needs for employment and workplace disputes and conflict. We give you the peace that comes with cost-effective and respectful resolution of conflict, whether your conflict arises in the courtroom, or in the workplace. We mediate employment litigation, individual and class actions, EEOC charges, internal Dispute Resolution claims, and business contract disputes. We also mediate executive and workplace interpersonal conflict, team challenges and partnership disputes. We provide executive training and serve as conflict coaches for managers and leaders. We create positive work environments through conflict management, conflict coaching, group facilitation, training, and design of ADR policies for your organization. We also provide arbitration, neutral investigation, and hearing officer services. 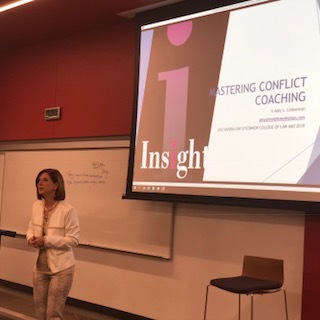 Amy Lieberman, Esq., Executive Director is a leading authority in the field of conflict resolution, mediation, conflict coaching, facilitation and training. 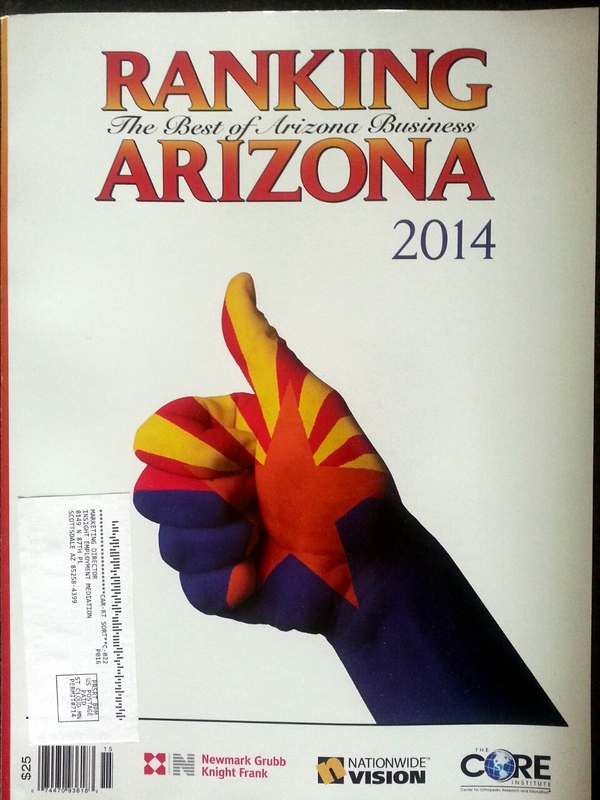 For over 10 years, Amy has been listed in the top 5% of lawyers in Southwest SuperLawyers, Best Lawyers in America and Ranking Arizona's Top Lawyers in Alternative Dispute Resolution. Amy is also an ACR Advanced Practitioner in Workplace Mediation and Employment Arbitration. Amy's professional distinctions include the National Academy of Distinguished Neutrals, CPR's Panel of Distinguished Neutrals, the American College of Civil Trial Mediators, mediator and arbitrator for the American Arbitration Association, the Arizona Association of Realtors, and the EEOC, among others. Since 2001, Amy has resolved over 1500 employment, workplace and business disputes, including sexual harassment, race, gender, disability, religion, and ethnic origin discrimination, wrongful termination, class and collective actions, FMLA, FLSA, and restrictive covenant and contract cases. Amy also works with countless organizational leaders as both coach and facilitator to improve communication and conflict management skills. RESOLVING YOUR CONFLICT - WHEN IT COUNTS. Amy Lieberman's book, Mediation Success: Get It Out, Get It Over and Get Back to Business is available for purchase on Amazon. Amy wrote this practical guide so all companies will know that there is a better way to resolve disputes. 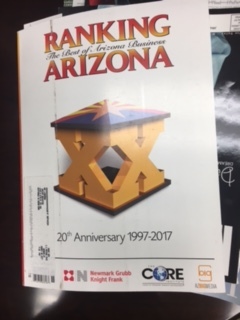 The book gives you mediation tools and techniques to preserve both relationships and capital. Join Amy on her mission to get all businesses to wholeheartedly embrace mediation. Learn the process, the psychology, and the solutions to overcoming workplace conflict in the conference room and in the courtroom from one of the most experienced mediators in America! Visit here for additional information and what people have to say about Mediation Success, Mediation, Training, or Speaking Engagements. 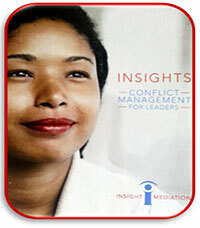 Does your organization need MEDIATION, CONFLICT COACHING or FACILITATION Training? We do that. "Wow! One of the best classes I have attended in 30 years!" - Theresa C.
"Great content and training style -- excellent materials! Amy is amazing" - Linda B. "Fantastic, genuine and reality-rooted....Amy has amazing style in both how she operates and how she trains, flexing to meet the desired outcomes of the training and masterfully handling diverse personalities." Jeffrey E.
Visit our Training page, or email us amy@insightmediation.com for information. Need Conflict Skills? Only have 2 days? Day Two: Get the Practice! Contact us for more information or to customize training for your organization! EXCITING NEWS!! 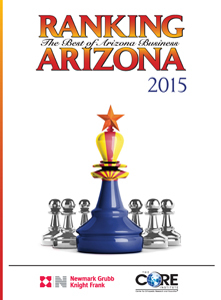 Amy Lieberman was ranked #1 in ADR in the Arizona Business Magazine’s “Best of the Best” Top Lawyers in 2013, and continues in the Top 10 every year through 2018! And, Southwest Super Lawyers ranked Amy in the TOP 25 Women Attorneys in 2015 and each year since! 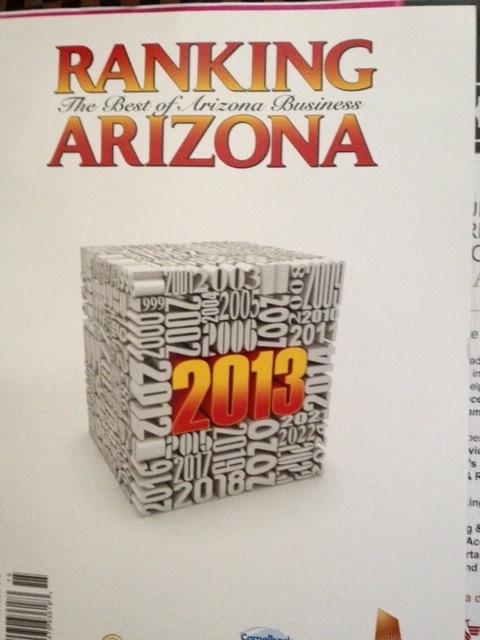 AZ Business puts Amy in the Top 100 attorneys overall in Arizona for 2017 and 2018. We are honored by these awards, and appreciate your vote of confidence. Thank you for your business and we look forward to serving you! Click here to see Amy talk about Mediation Success! To read Amy Lieberman's "The Driving Force of Desires: Reaching Resolution in Mediation", featured in the Arizona Attorney magazine, click here. Attorney at Law magazine featured Amy Lieberman as the Mediator of the Month. To read the article, click here.